Despite the best efforts of Big Meat, vegetarian and vegan restaurant options are here to stay, and now they’re beginning to encroach on previously uncharted territory: the world of fast food. In the past year or so, numerous domestic and international chains have introduced either plans or menu items reflective of customers’ modern and future dietary goals. Taco Bell announced that it will test out vegetarian menu options throughout 2019. Burger King already sells the Morningstar Veggie Burger in some locations. White Castle rolled out the “Impossible Slider” last year. Carl’s Jr. has tested its own take on the vegan burger. In Norway, even McDonald’s is testing vegan nuggets, and KFC has promised at least its U.K. patrons that it’s experimenting with vegetarian chicken. Since those willing to indulge in fast food from time to time seem to be open to vegan-based options, it’s unsurprising that more and more chain restaurants appear to be jumping aboard. 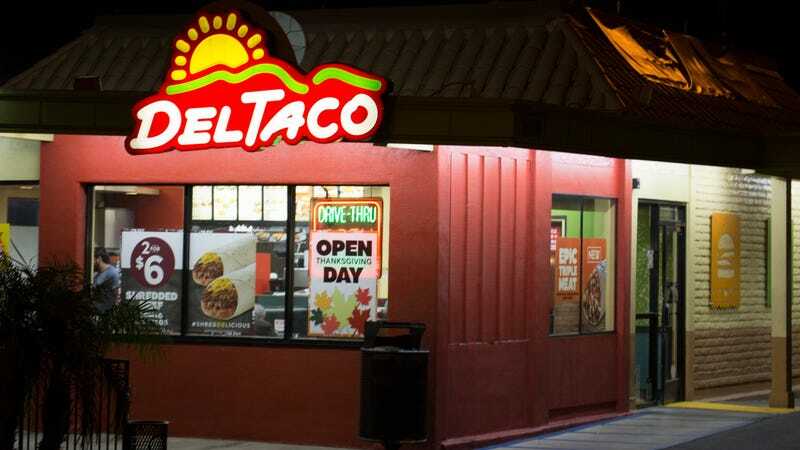 VegNews reports that after testing its Beyond Meat offerings in a handful of California locations, Del Taco will be going nationwide with the new vegetarian/vegan options by the end of April 2019. All 594 locations will offer the Beyond Taco and Avocado Beyond Taco, with Beyond Meat also available as a substitute option for other menu items. It’s an undoubtedly welcome addition for vegans and vegetarians, who like the Little Mermaid before them, have just wanted to be where the people are: in the drive-thru. And as nutritional value continues to emerge as a make-or-break point for diners from all walks of life, expect to see vegan fast food continue to work its way into the everyday mainstream.